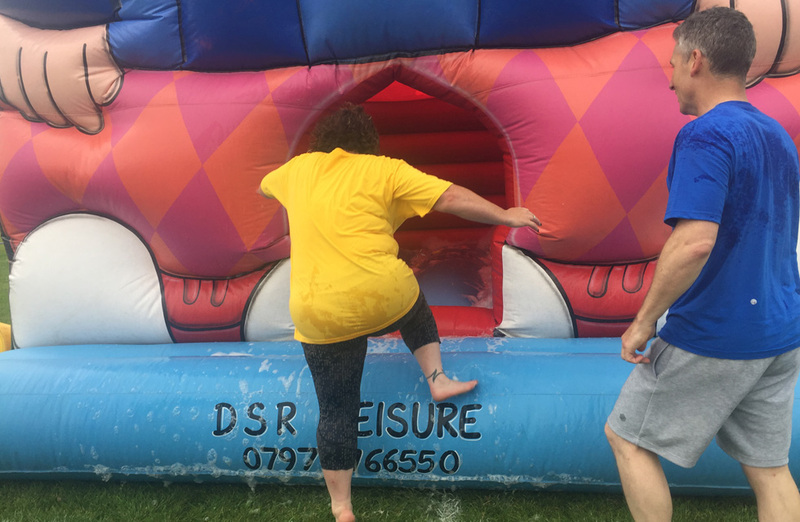 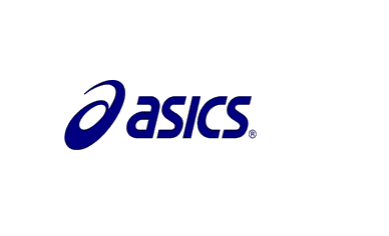 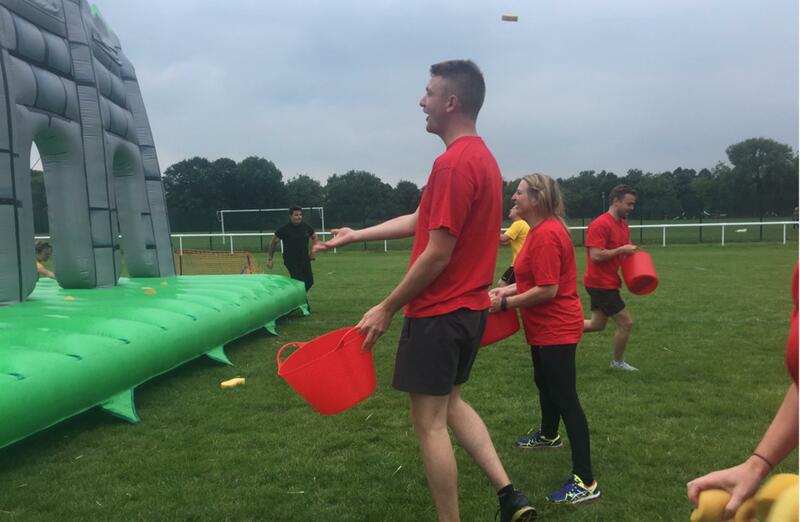 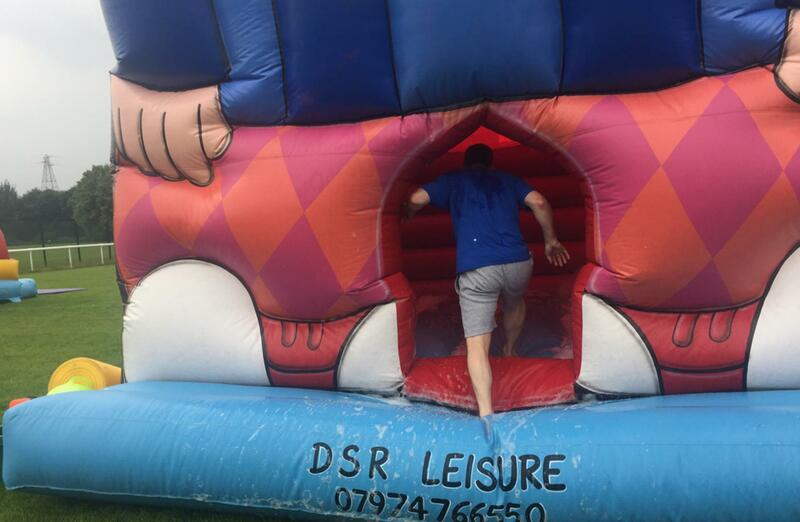 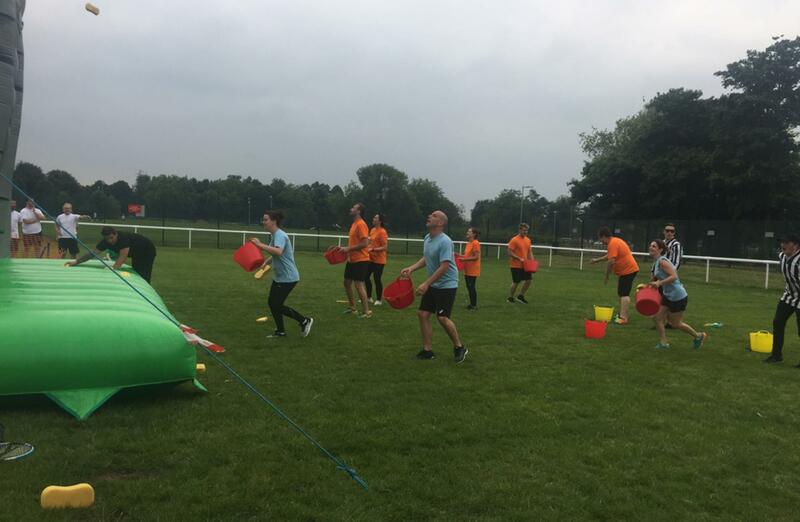 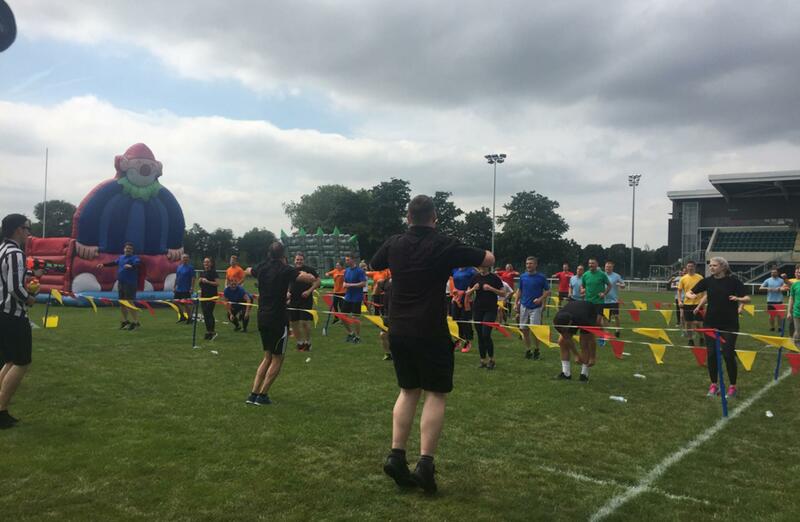 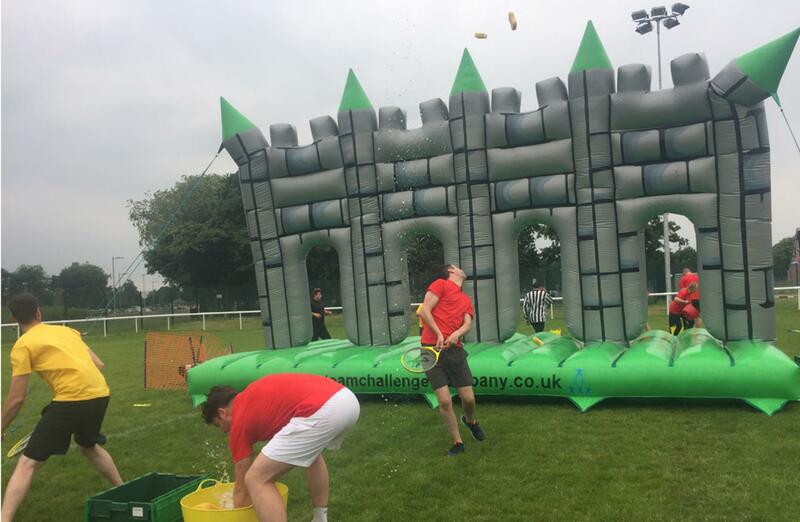 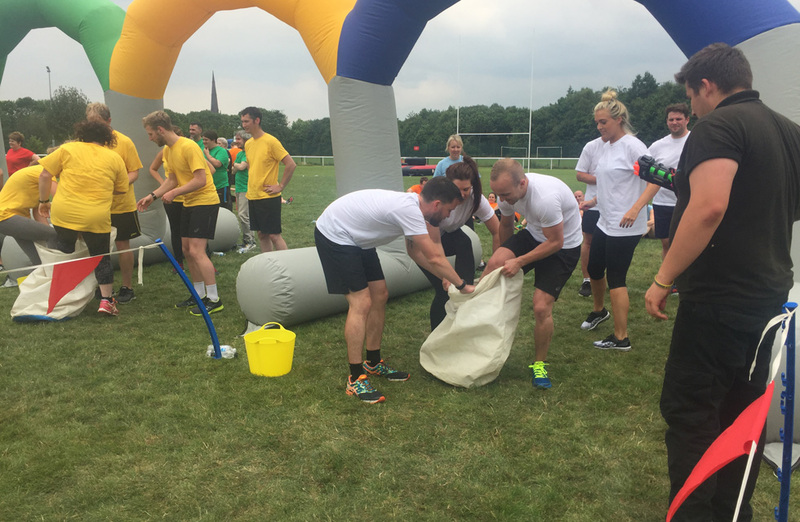 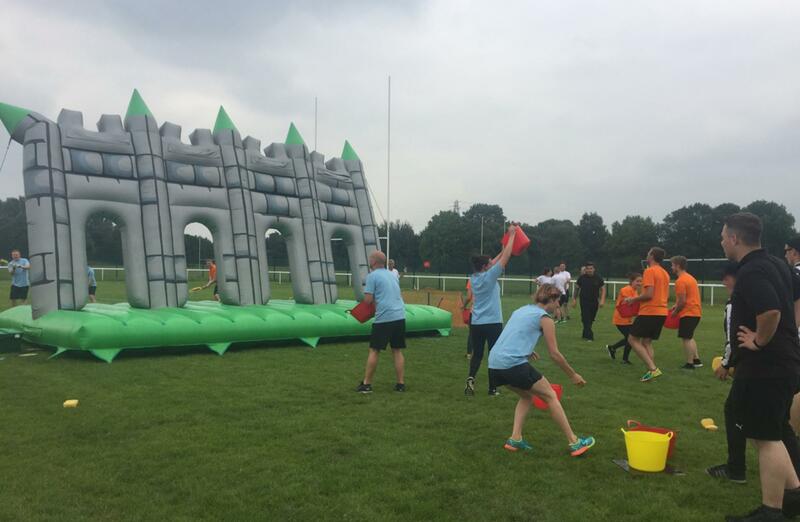 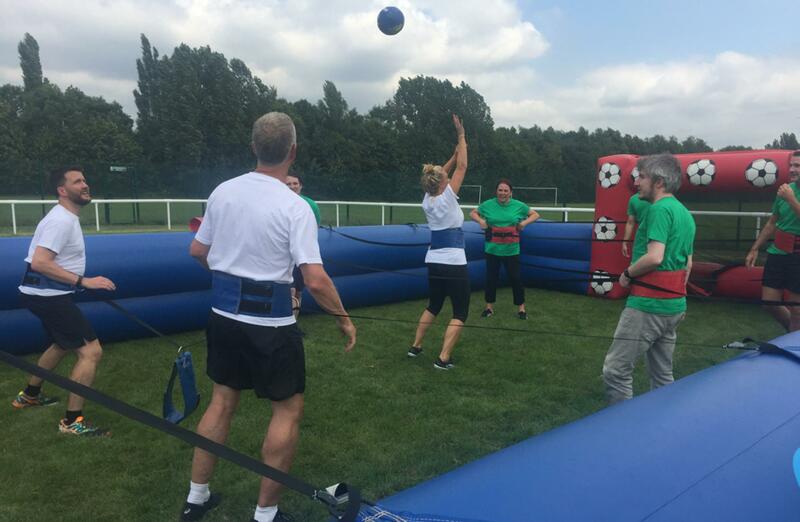 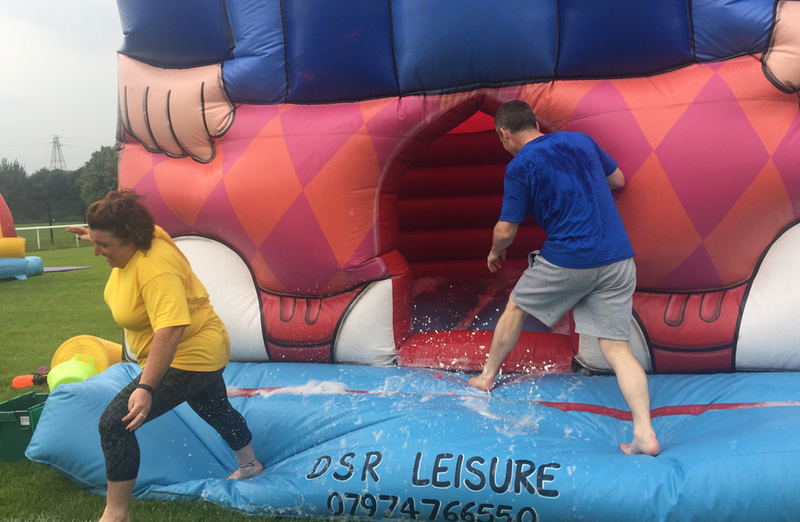 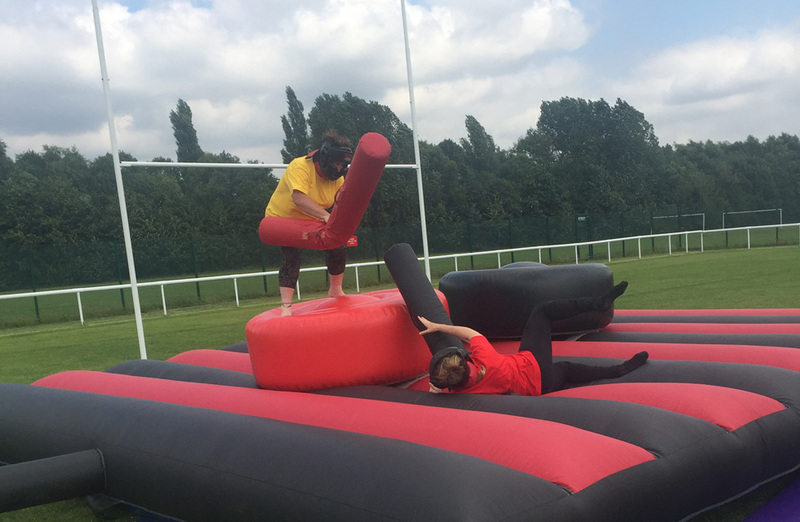 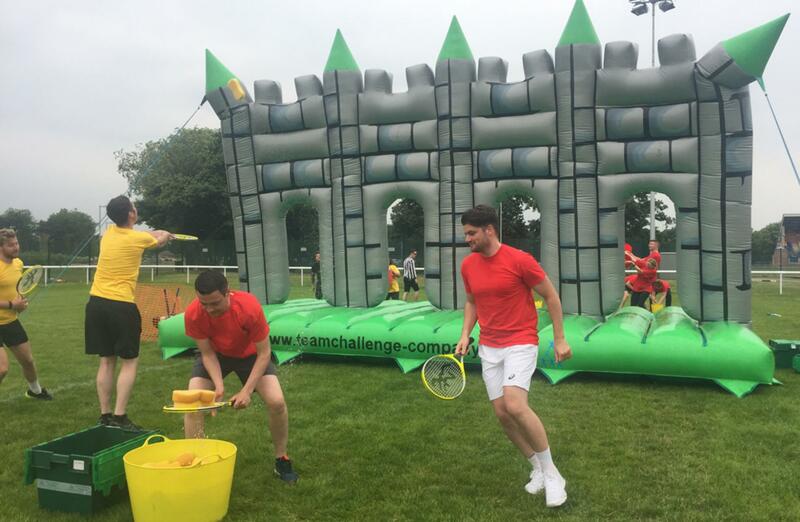 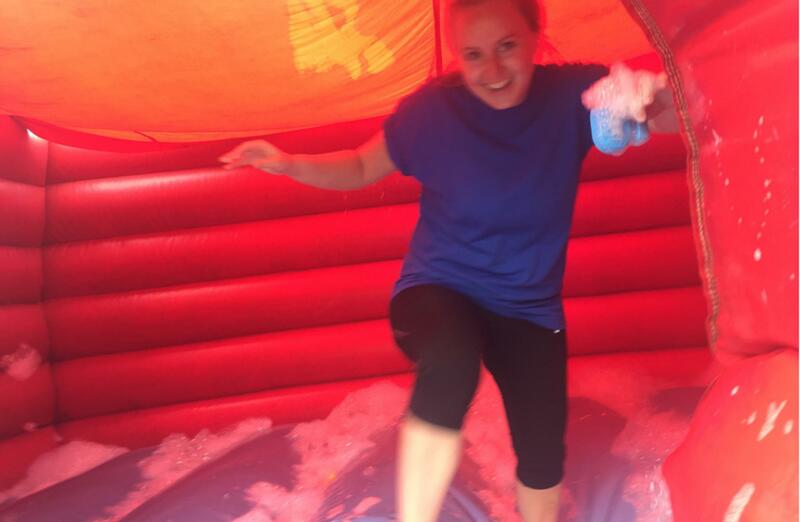 The team at Asics UK took part in the ‘It’s a Knockout’ challenge hosted by Team Challenge Company at Victoria Park on the 19th July. 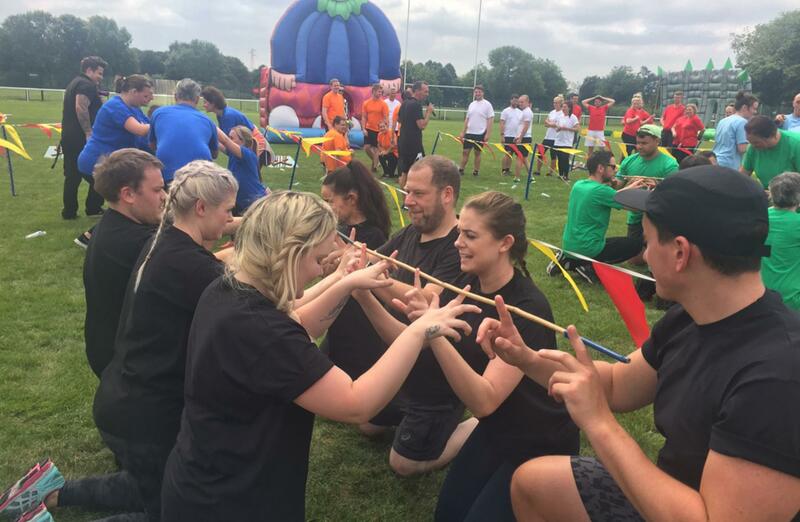 The crew were split into teams and came decked out in colour coordinated uniforms, geared up and ready to play in the sweltering 24⁰C heat and water based activities. 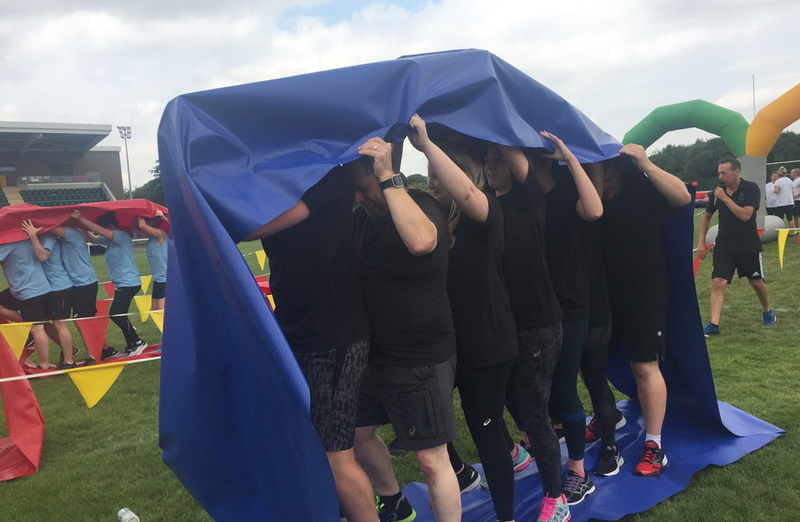 Everyone started by getting involved in the Warm Up in order to prepare for the wacky activities that they would be taking part in. 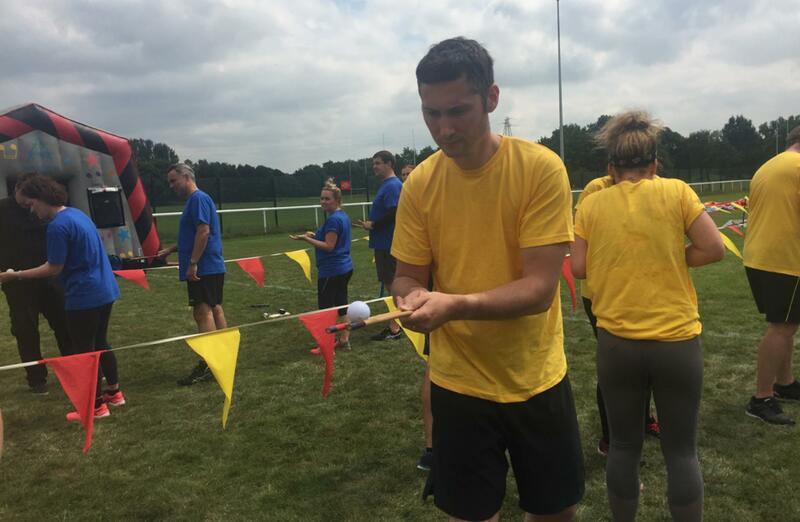 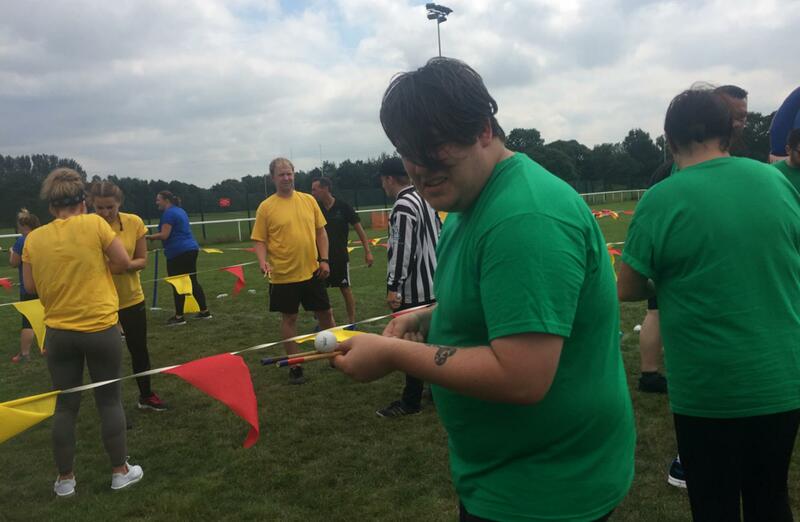 Teams were then challenged with the Helium Stick with many team members being caught hooking their fingers around the stick, the White team excelled in this challenge whereas a few others were defeated before the stick was even halfway to the ground. 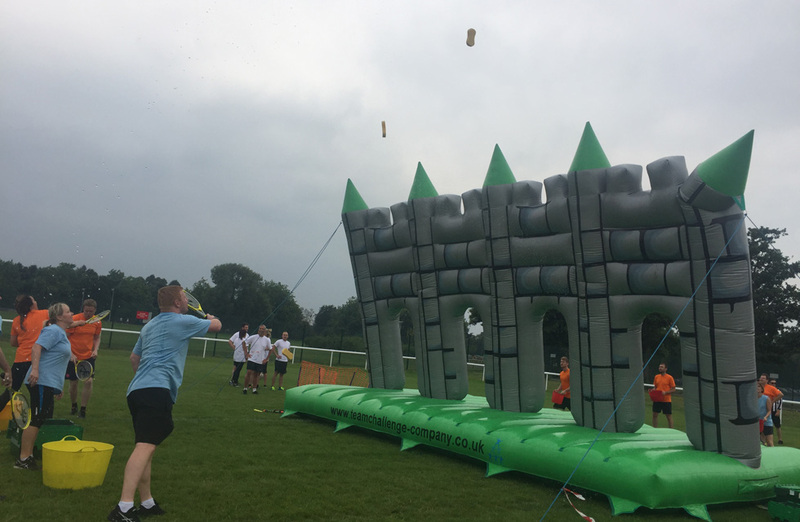 Next up was the Gold Rush, where the teams raced and tested their quoit skills, aiming to have the most balls in their bucket at the end. 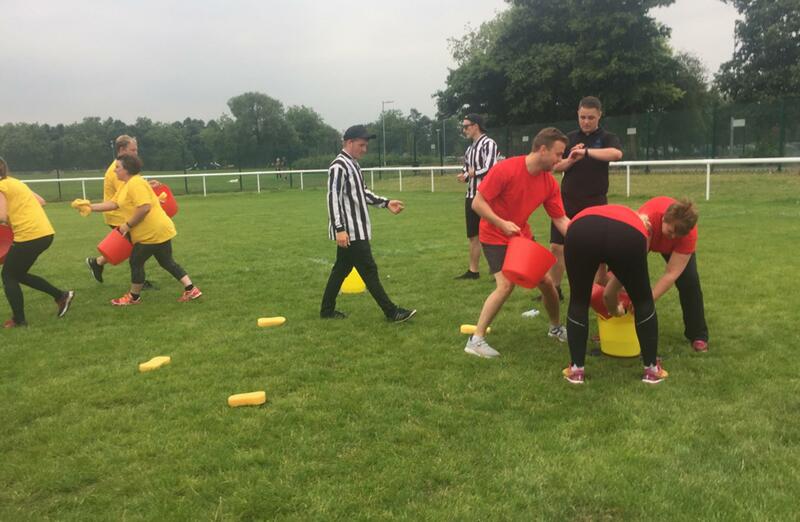 Travelball had teams chanting ‘CHEATERS!’ as the Red Team excelled, following their own tactic whilst playing by the rules, this was confirmed by the refs and had other teams imitating their strategy to no avail. 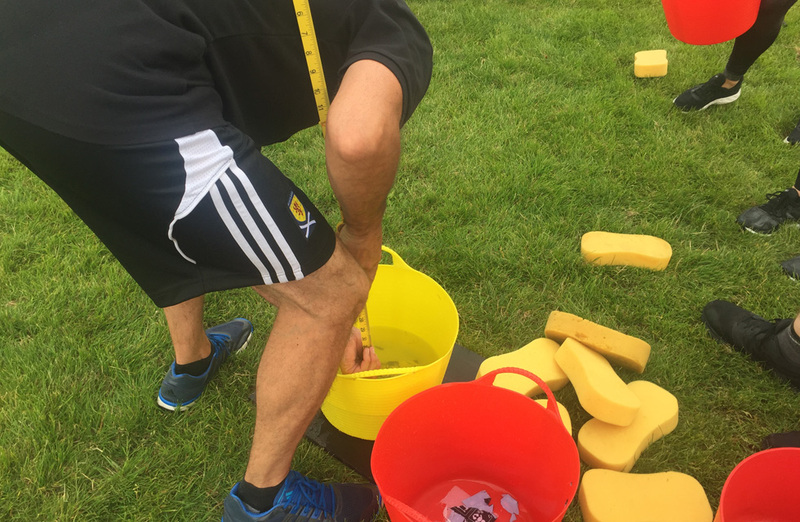 After failing to transfer any ball from one bucket to the other, the Dark Blue Team took matters into their own hands, throwing balls into their bucket earning them a soaking and a loud ‘BOOO!’ from the crowd. 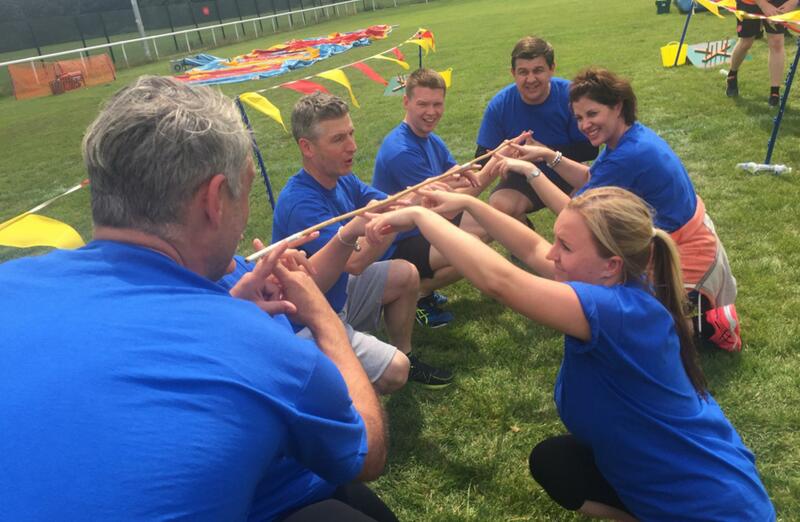 Caterpillar Run was next, each team attempted to synchronize their steps as they fought to stay in line and keep themselves moving towards the finish, this resulted in many trips and tumbles from teammates that couldn’t keep up. 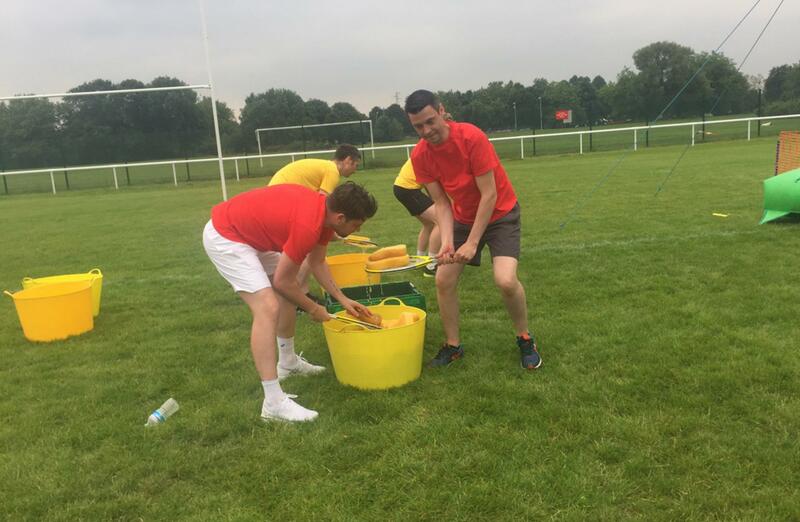 The teams were put on rotations for a variety of different activities. 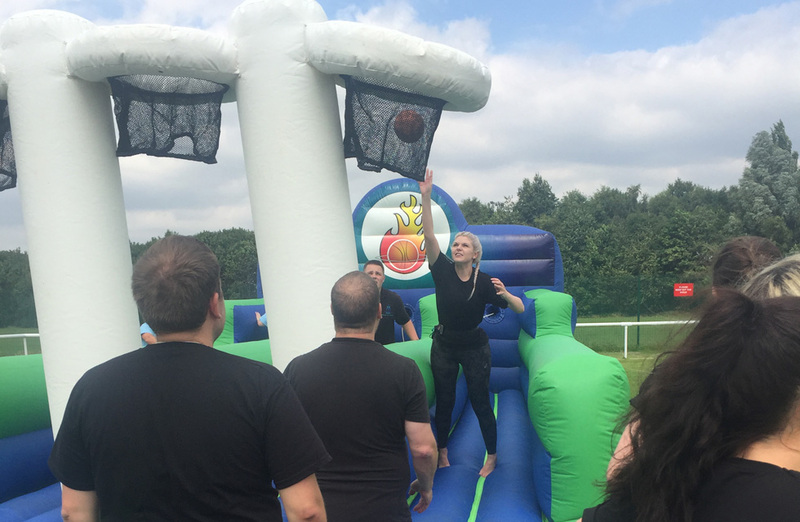 Teams worked together to score the most goals in the Human Table Football and made rebound shots on the Bungee Run Basketball as they were pulled back from the hoop. 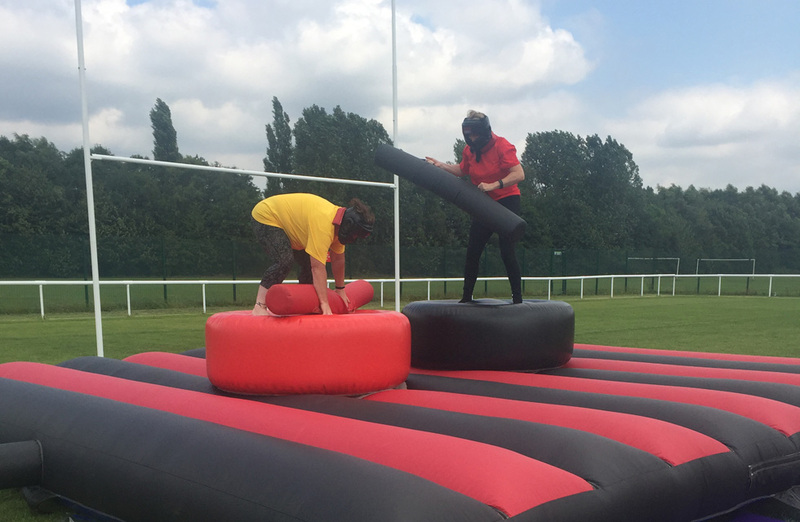 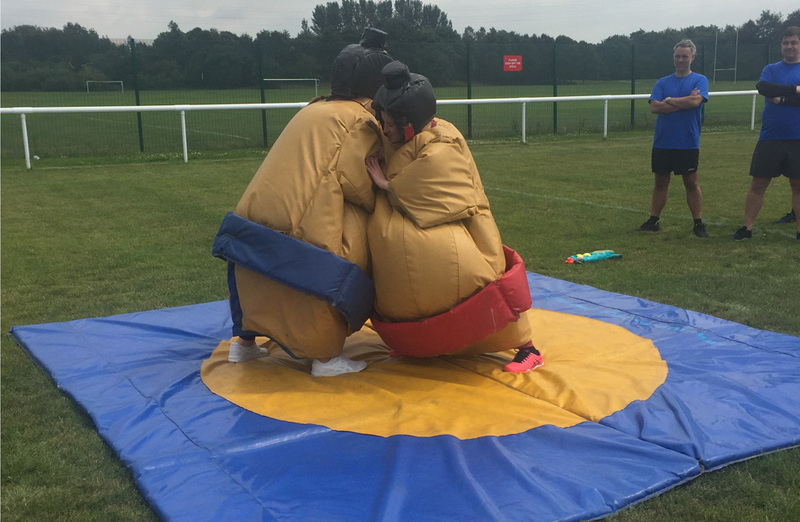 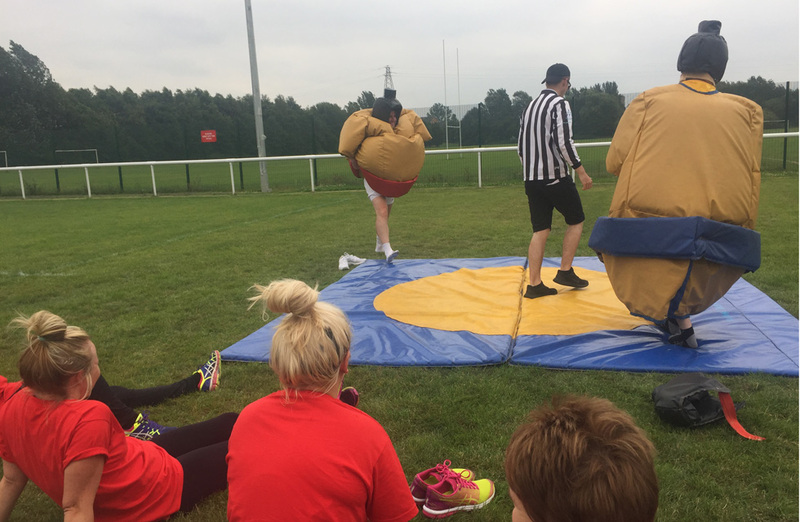 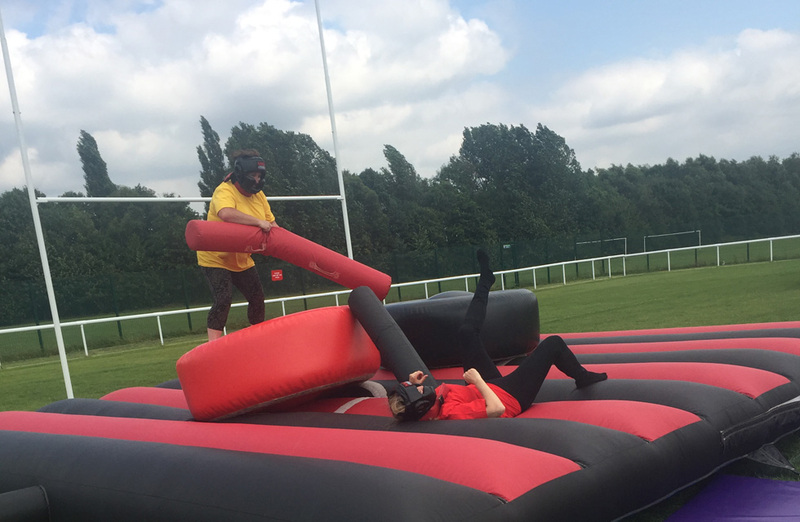 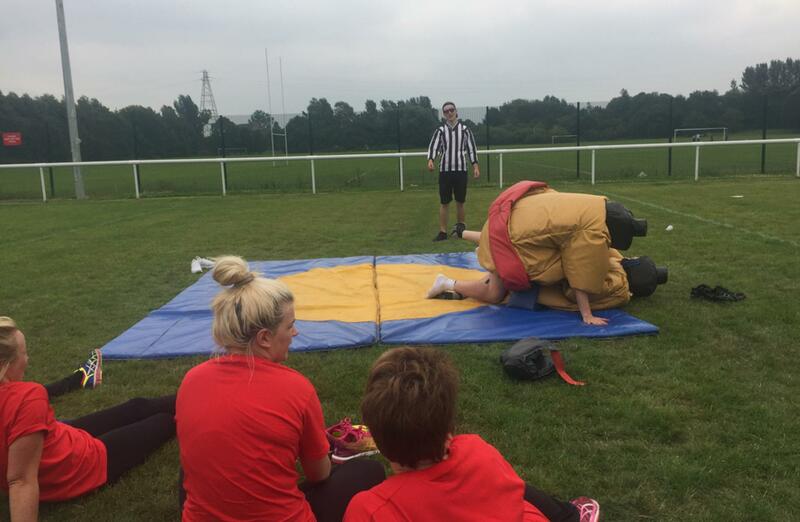 The Sumo Suits and Gladiator Duel had teams chanting in favour of their members as they fought to be the last one standing at each activity and cheering when they were victorious. 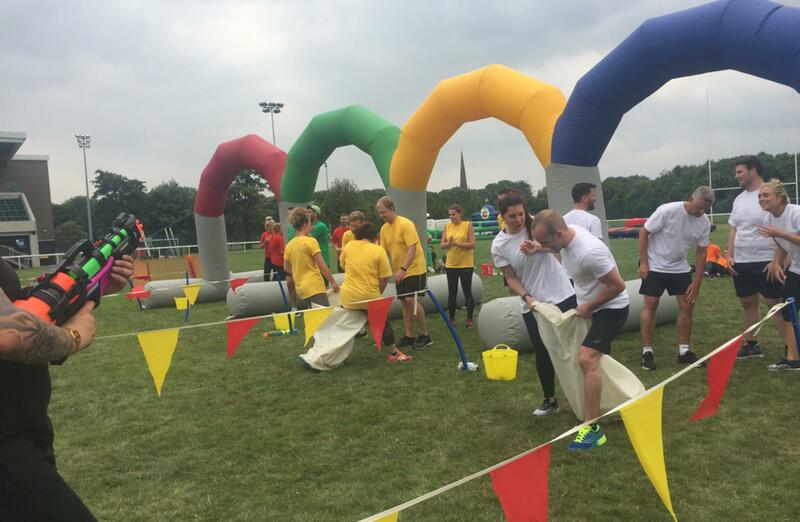 After a few games and refreshments, the teams were gathered back together to tackle the Obstacle Skis. 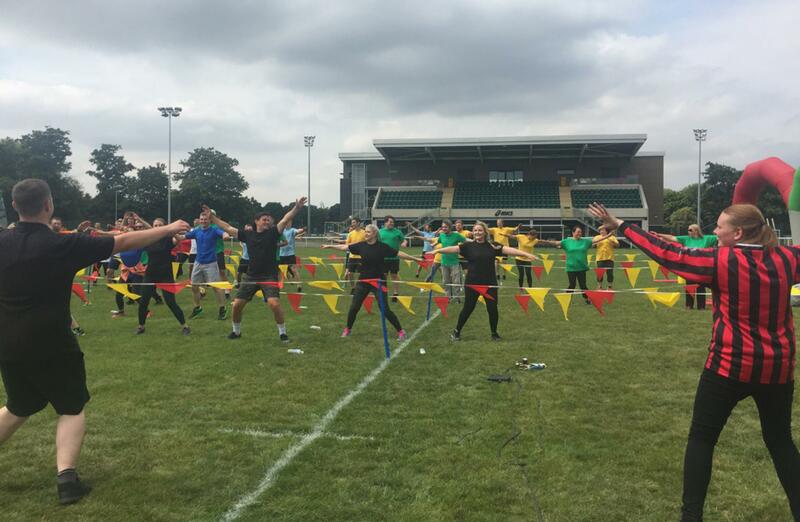 The aim is for teams to synchronise their steps to be the first to the finish line, many teams didn’t get the memo as they struggled to lift their feet and the ski at the same time, the continuous chants of ‘Left, Right, Left!’ helped some teams move along whilst some others barely made it to the end. Teams moved on to the Wacky Wall, this had team members lunging and leaping to catch the sponges that had been wacked over the wall into their buckets. 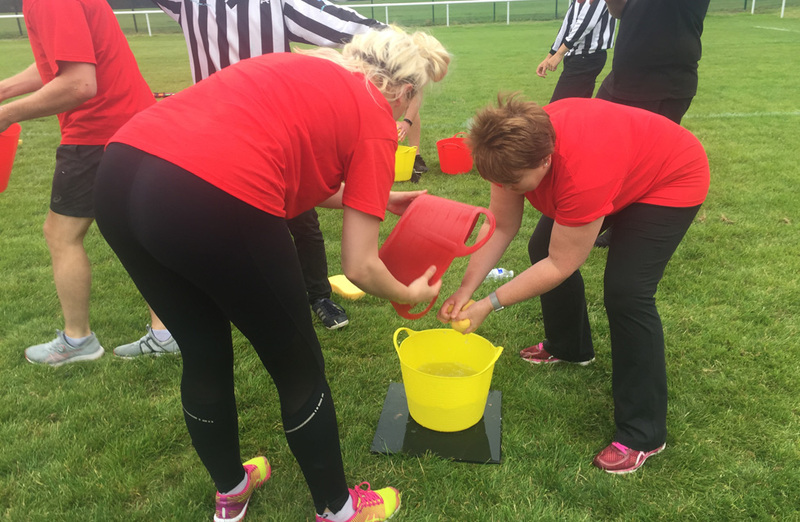 The game got intense as the water wrung into each bucket was measured and the winning teams determined. 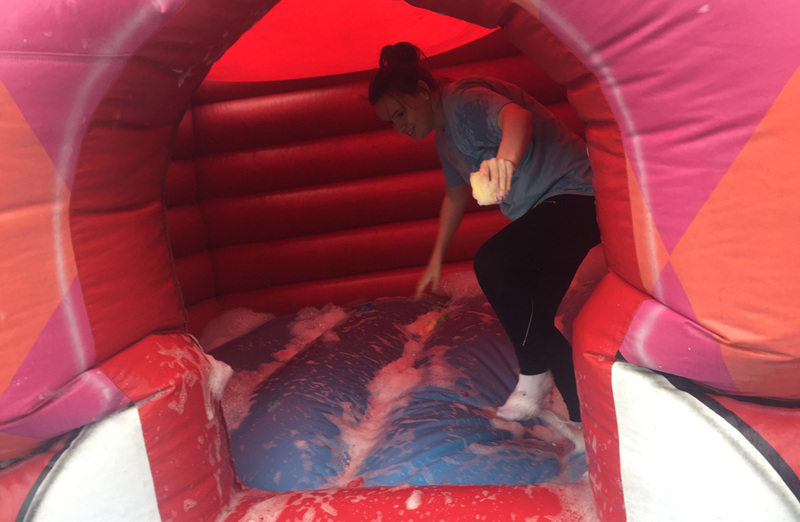 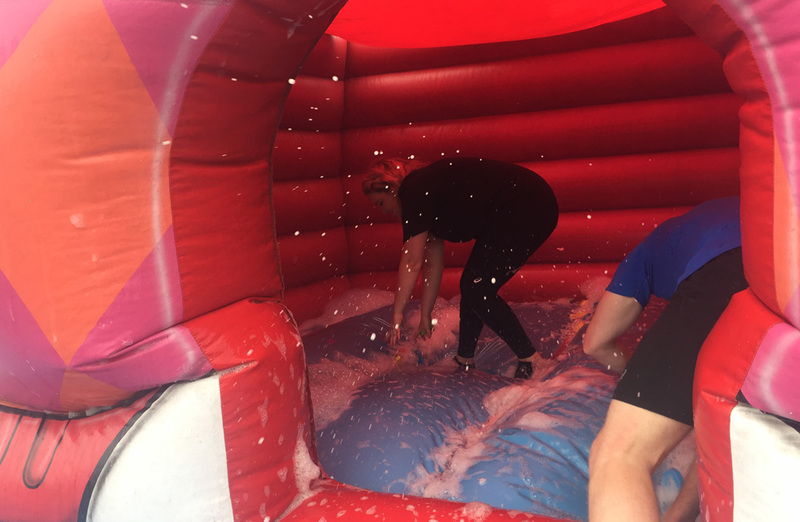 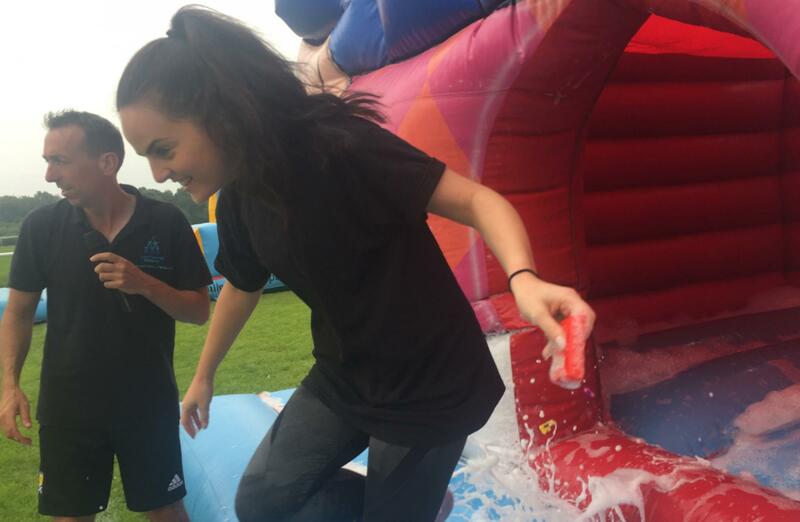 The final activity was the Clown Around Space Hopper Dash, this gave the teams an opportunity to dive into the soapy and wet inflatable, out of the sun to hunt for the perfect letters to create a word for their team. 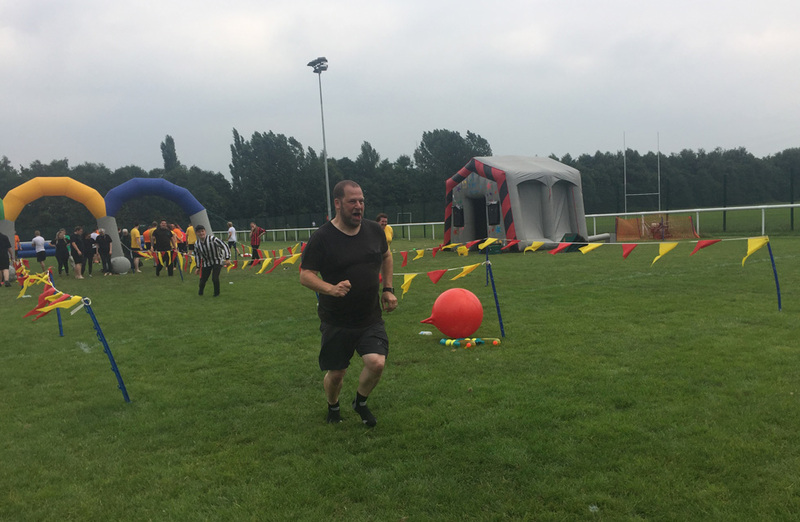 Of course, the race to the inflatable wasn’t as simple with each team member having to hop to the finish line on a space hopper. 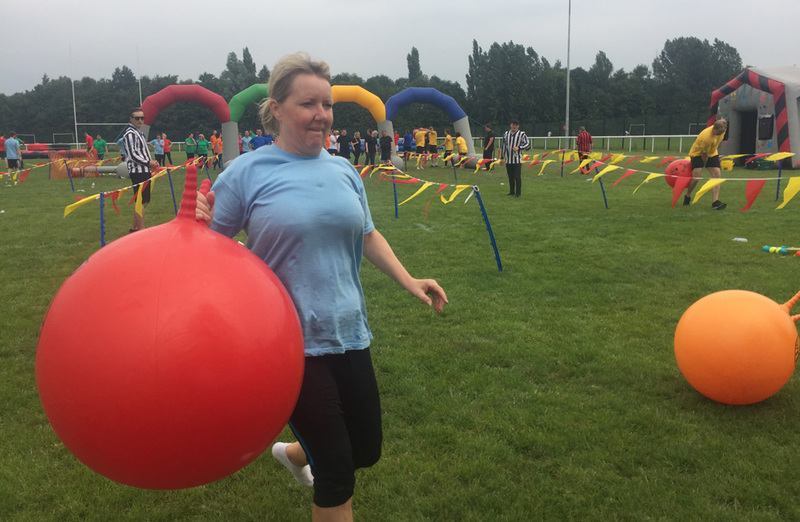 Many teams decided to run with the space hopper between their legs instead in a last attempt plan to be first to get a letter. 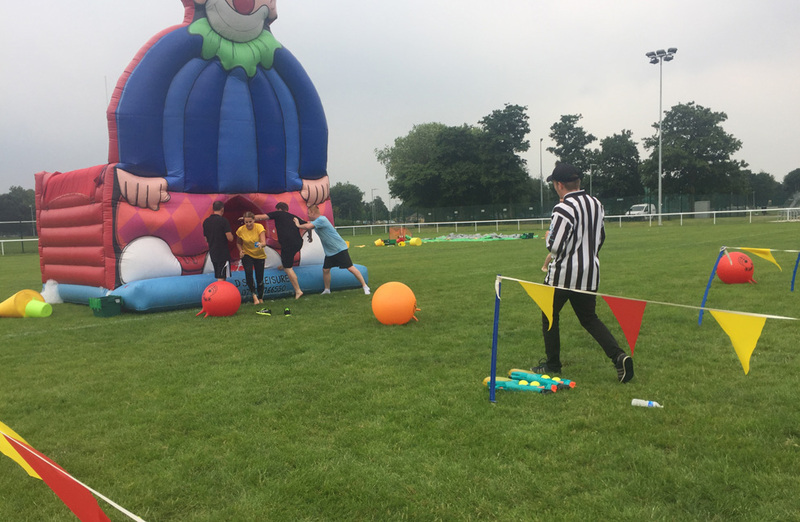 There were a wide range of words produced at the end, including ‘Team’, ‘Ruled’ , ‘Swoop’ and a few questionable words that may or may not have been made up. 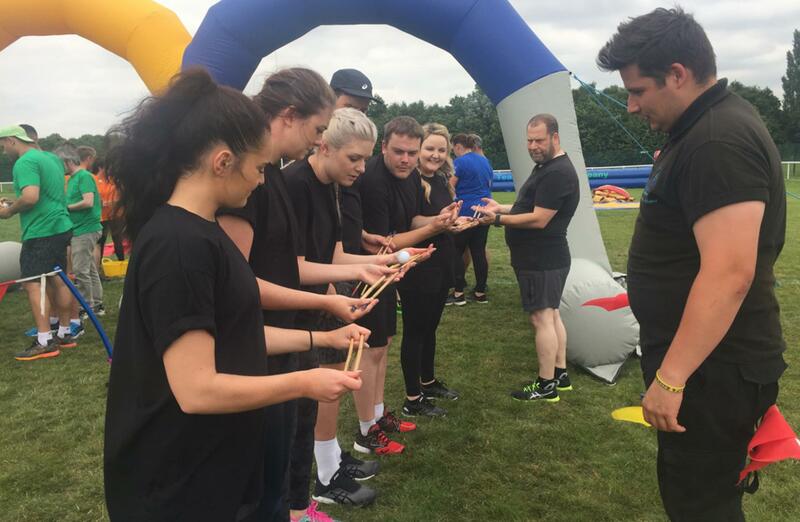 Once the final activity was over, the scores were counted (with no bribes included) and the teams brought together to announce the results. 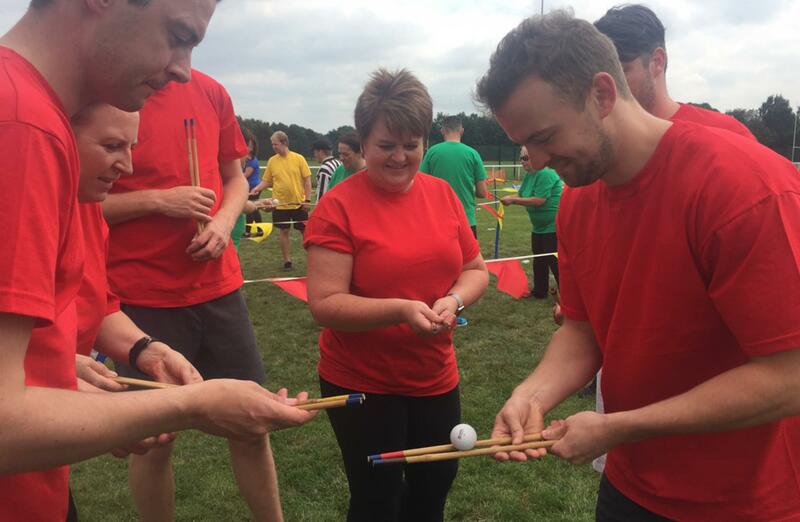 The team in last place, winning the wooden spoon was the Black team with 7000 points. 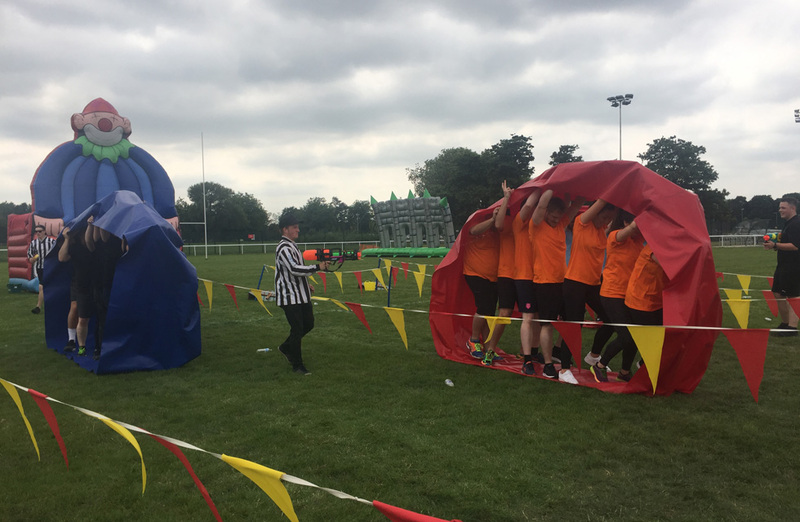 Third place was awarded to the Orange team with 8300 points, Second place, just off the top spot was the Yellow team with 10,000 points and the winners of the day were the White team, taking home the Team Challenge Company Trophy with 10,300 points. 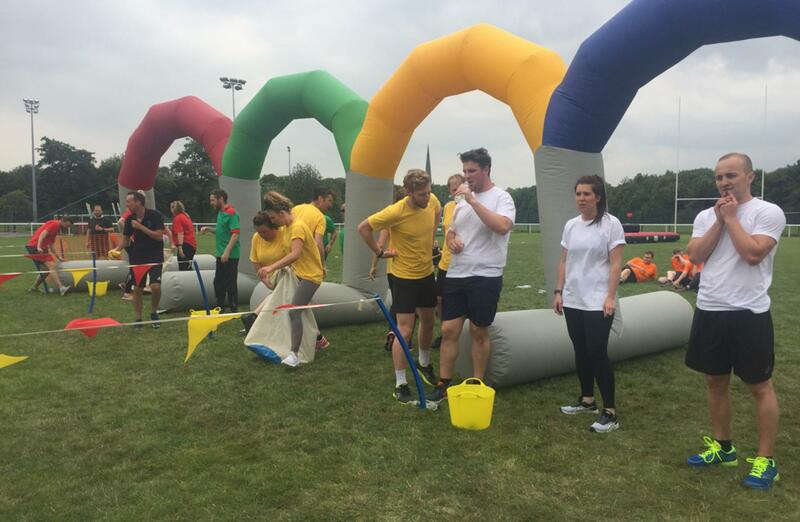 It was an amazing effort from all teams involved and a great way to spend a sunny day. Team Challenge Company would like to say a huge thanks to Stephanie for organising the event. 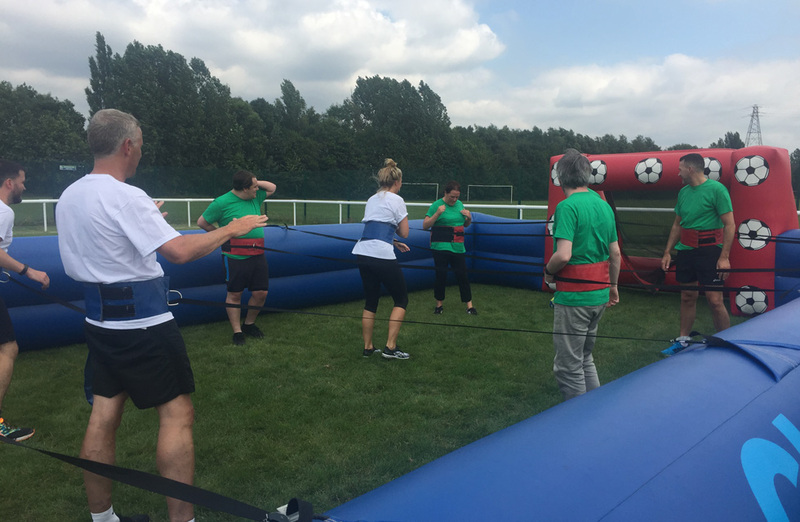 We had a fantastic day working with your staff and cannot wait to see what the next event brings!